Katie is a friendly neighborhood watchdog when her owners visit their winter home here in Florida. 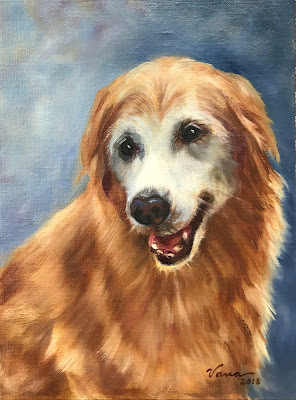 Although I was commissioned to paint it, I am gifting it instead because sadly one of her humans passed away before I finished it. Katie is not getting any younger but she's still a beautiful girl!